Welcome to the New Online Casebook! What is this new platform about? How does law protect in war? Online is a platform adapted from the original reference Casebook published by the ICRC. It was originally intended to support teaching of international humanitarian law (IHL) in universities in an interactive way, and based on contemporary practice. The Law section features a general outline presenting IHL in 14 chapters. It contains comprehensive bibliographic resources and links each theme to a range of related case studies and documents. The Practice section comprises 325 case studies and documents regrouped either by theme or by region, or by type of document. They allow practice-oriented learning of IHL rules and interactive discussions through series of questions. The Pedagogical Resources section provides useful advice on how to teach IHL, as well as 29 model course outlines and other useful resources. The A to Z section presents 418 notions linked to IHL, their legal sources, the case studies where they are addressed, as well as bibliographic resources to delve further into those notions. A search engine allows users to find rapidly the relevant pedagogical material they need on the platform. In 2014, a first version of the online platform was launched. What has been improved in this "2.0 version"? In terms of content, new case studies have been added for the launch of the platform (see related Highlight: IHL, Protecting Human Life and Dignity in XXIst Century Wars) and the platform will be regularly updated with new content (see below ‘What’s next?’). To which users is it addressed? How does law protect in war? was originally addressed to university lecturers. However, we have noticed that it was also used by humanitarian, legal and military professionals, as well as researchers and persons interested in armed conflicts in general. This trend increased when the first online platform was released in 2014. According to feedbacks, it is due to the instant access it provides to a wealth of resources in IHL, related branches of international law and issues touching upon armed conflicts. In 2016, the platform was visited by 274’093 unique visitors, representing a 16 % increase as compared to 2015. What are the respective roles of the three authors and the ICRC on this platform? Marco Sassòli, Antoine Bouvier and Anne Quintin are the three authors of the original How does law protect in war? Casebook. As regards the online platform of the book (Online Casebook), they propose new content to update it regularly in partnership with the University of Geneva, Faculty of Law, the Geneva Academy of International Humanitarian Law and Human Rights and the Clinique de droit international pénal et humanitaire, Faculté de droit, Université Laval. The ICRC, through its Law and Policy Forum, provides technical and promotional support for this content and manages the platform. 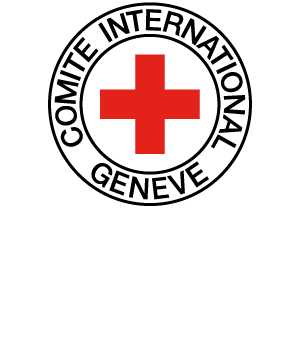 As reminded by the Disclaimer and Copyright, it is important to note that neither the ICRC, nor the authors can be identified with the opinions expressed in the cases and documents presented on the platform, which solely aim to encourage practice-oriented teaching of IHL through documents and resources illustrating contemporary practice. The platform will be promoted on various channels, including social media. We invite users to provide their feedback, suggestions and possible contributions by using the feedback button. As of 2017 and on a regular basis, How does law protect in war? Online will be updated with new case studies presented in thematic highlights, new and updated A to Z notions, new Pedagogical Resources and updated introductory texts in The Law section.